Reviews of the Sony Cyber-shot DSC-HX400V from around the web. Bridge cameras continue to be one area of the compact camera market that remains buoyant in an otherwise declining arena. The HX400 is one of the larger bridge models available, closely resembling an entry-level or even enthusiast DSLR/T in overall body size at least. 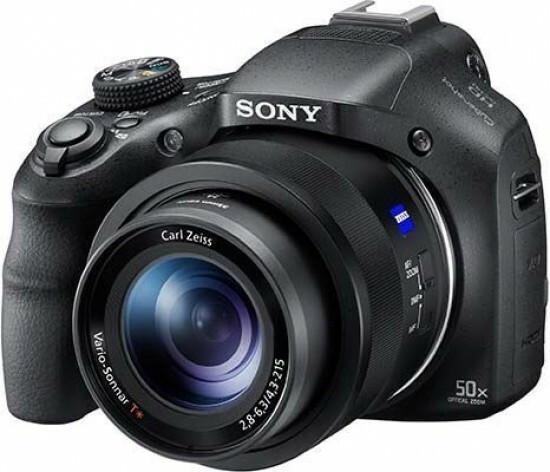 The Sony Cybershot DSC-HX400V was announced in February 2014. It is a bridge camera packed with a number of features, making it very versatile. For macro photography the lens has a minimum focusing distance of 1cm, but for shooting objects in the distance it has 50x optical zoom. Other features include Wi-Fi and GPS, making it ideal for travel photography. It is available for £449.